We’re going to try something a little sillier in this week’s top ten list – dog costumes! Not only is dressing up your pet becoming more popular, but so are pet birthday parties. Who’s that cute little hound that’s the best friend to everyone around? Dog! Dang right. 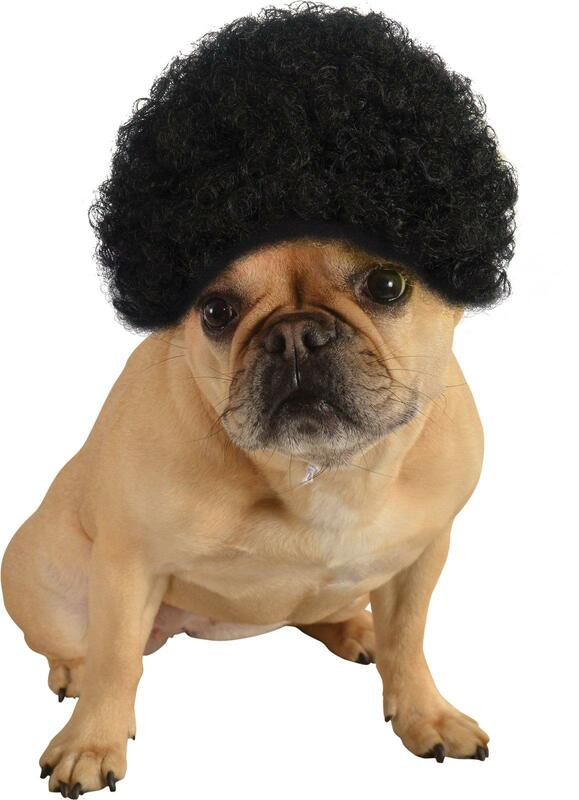 Even if you’re too young to appreciate a good Shaft reference, you can surely appreciate the humor of an afro wig for dogs. It’s pretty much the grooviest thing ever. You probably already think you have a super dog, so you might as well show it off! 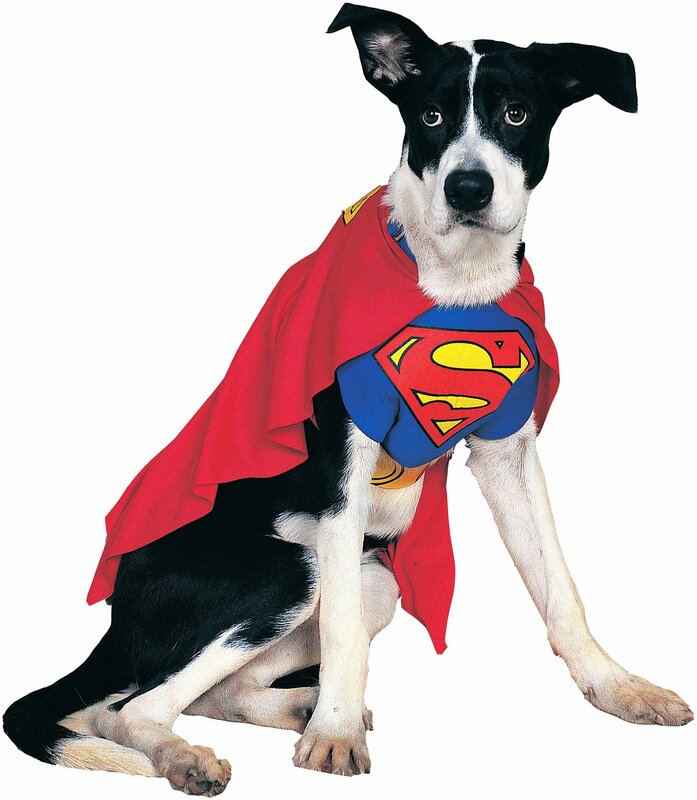 This canine cape and costume combination is also a great lookalike for Superman’s dog, Krypto. 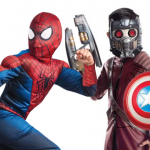 Add in a Superman or Supergirl costume of your own to make a matching look. This little guy is so adorable that we could eat him right up. Not literally, that would be horrible. 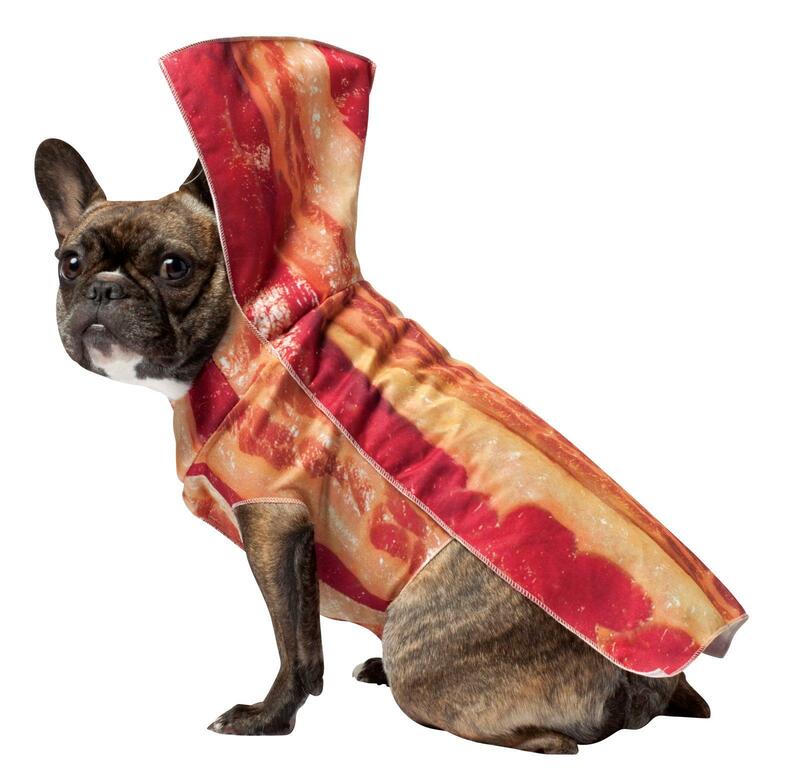 Celebrate your favorite furry friend with bacon, the greatest food known to man. 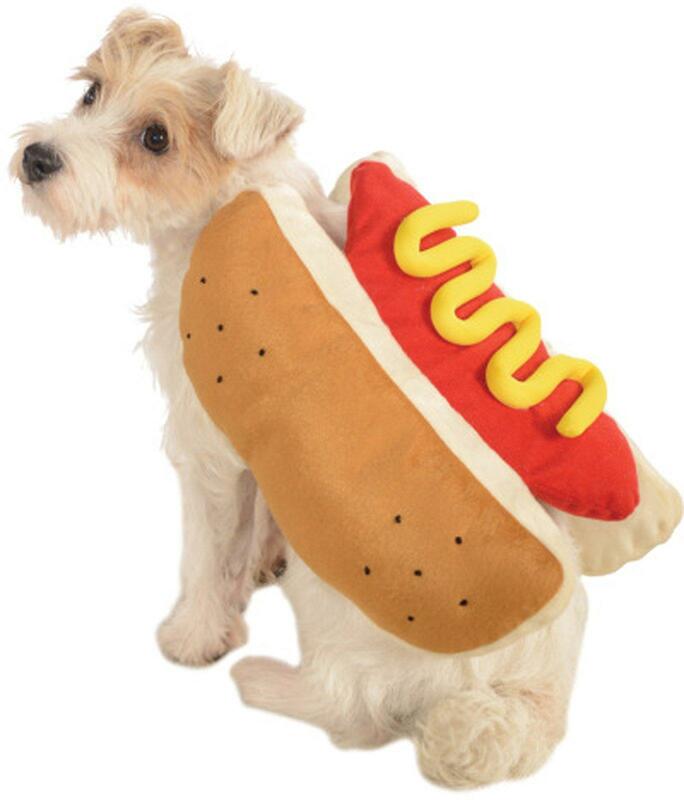 Will dogs wearing hot dog costumes ever cease to be funny? It’s really just too perfect. Remember those old Taco Bell commercials with the Chihuahua? This doesn’t have anything to do with those, but it’s pretty cute anyway. 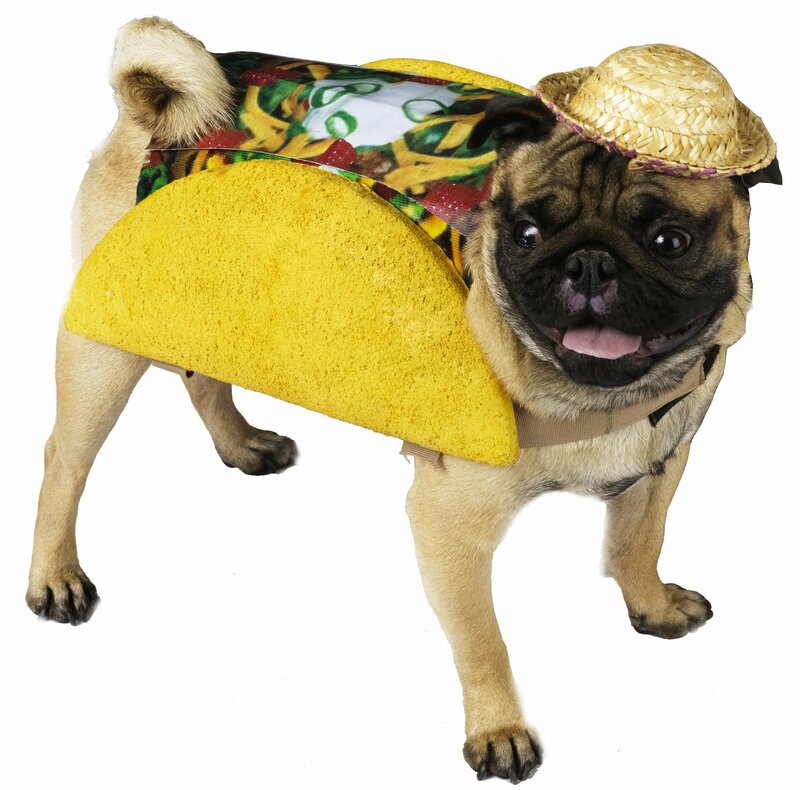 Also, if this costume fits your cat, keep in mind that “taco cat” is a palindrome. 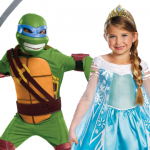 This costume comes in human sizes, too. 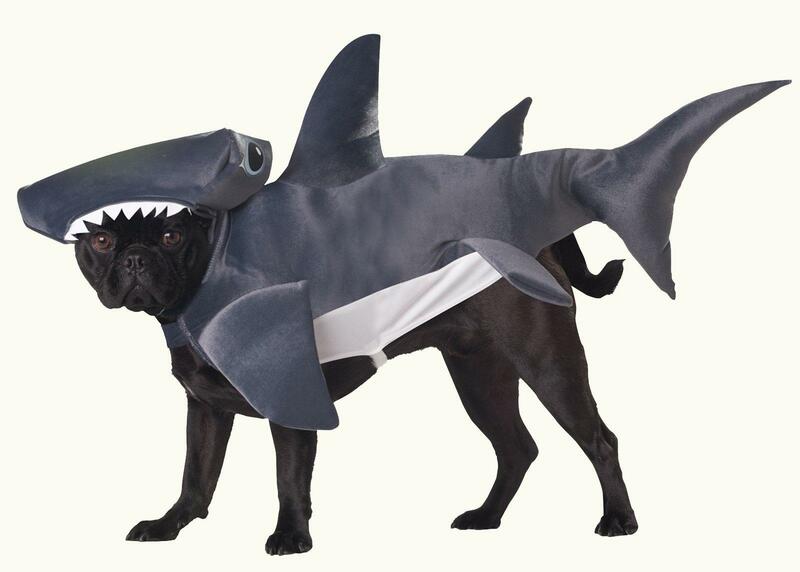 Make your guard dog even more terrifying than Jaws! Also, Shark Week 2017 is yet to come – the annual event is kicking off on August 10. If you’re going to be hosting some friends to take in a few shark shows, dress up your dog and get a few laughs while you’re at it. We wouldn’t be doing our due diligence if we didn’t drop a “Jurassic Bark” pun in here, so there it is. For us, what really makes this one hilarious are the fake forearms that bobble up and down as the dog moves. Both this and the hammerhead shark above are licensed by Animal Planet. Dog, or dog not. There is no try. The Fourth of July won’t be coming around again for 10 more months or so, yet this one is somehow just never inappropriate. 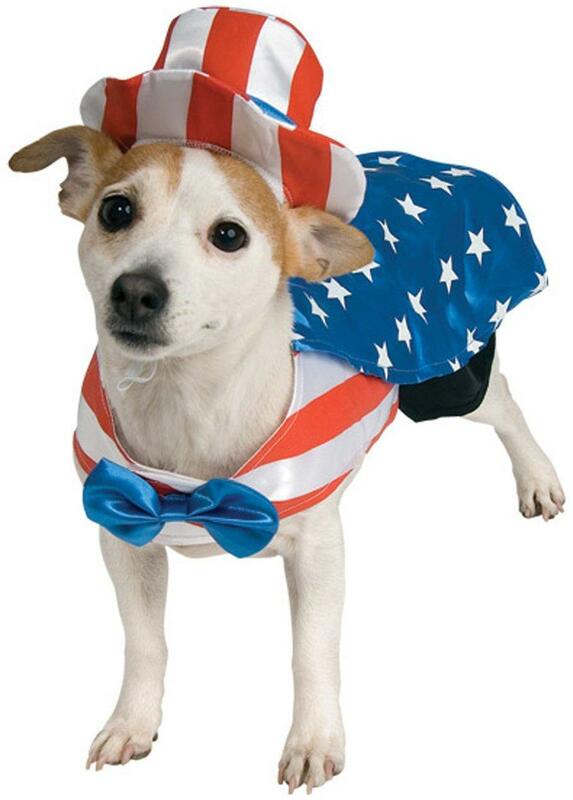 Maybe it’s the hat, maybe it’s the bow tie, or maybe it’s the American flag cape, but for some reason this dog costume is fun and funny all year round. 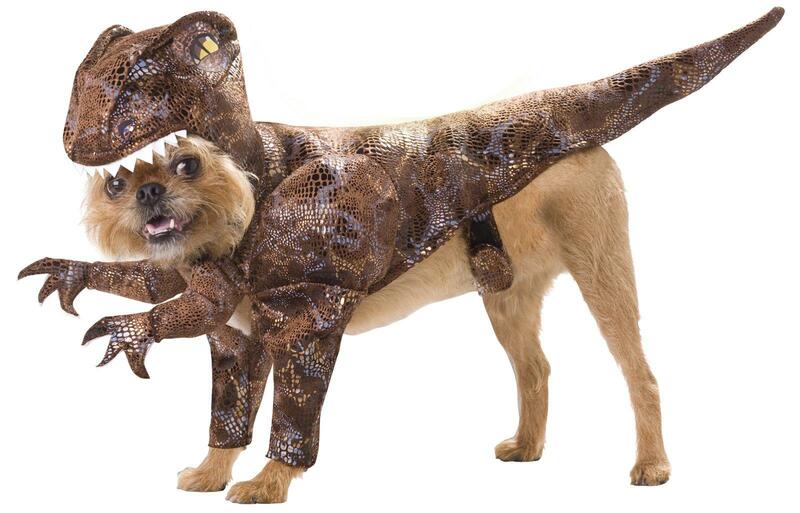 It’s the most ferocious dog costume of all! 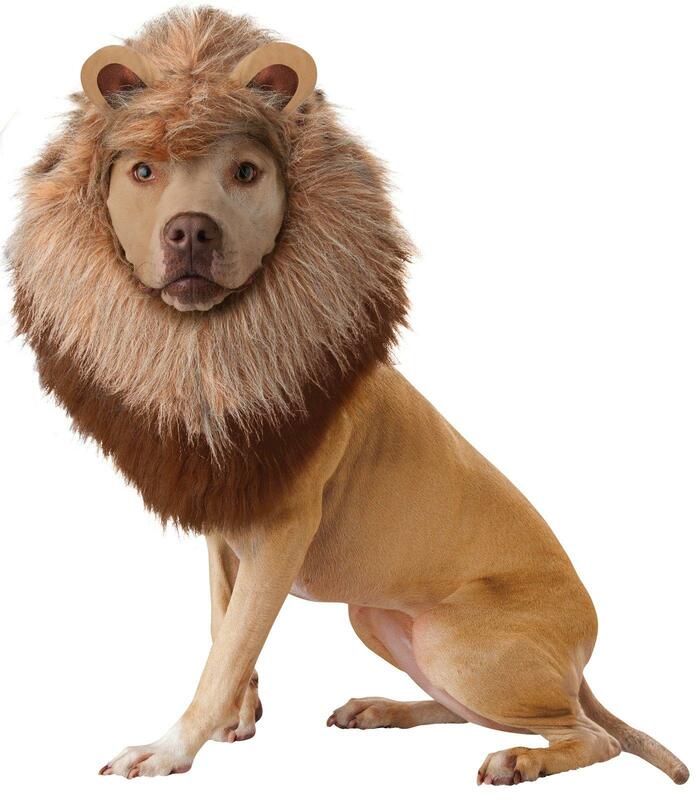 Your dog will love his new, luxurious lion mane. Or, he might just scratch at it a lot. Either way, he’ll look awesome. 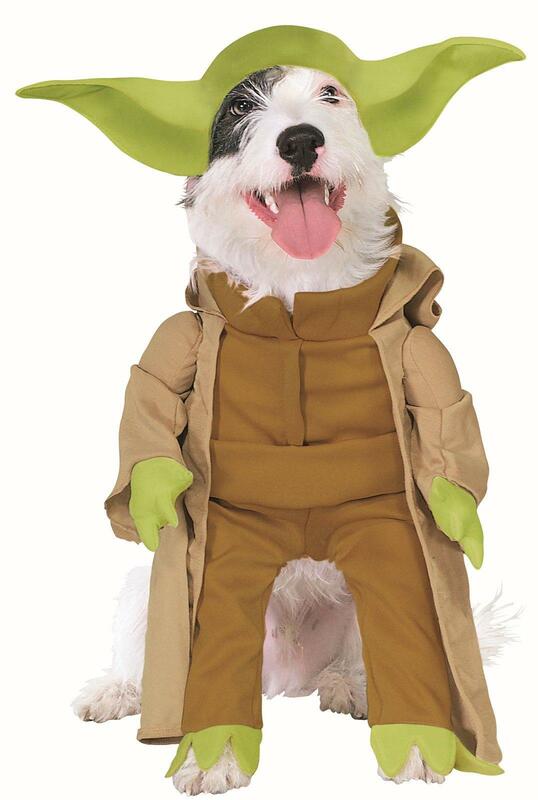 Have you ever dressed up your pet in a costume before? 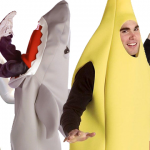 What was the funniest, craziest, or weirdest pet costume you’ve ever seen? Are you proud of us for not using the word “doggone” yet? 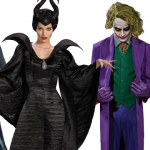 Share your thoughts with us on our Facebook page, and on Twitter @BuyCostumes. Check out our Pinterest boards too, for more costume ideas of every kind. 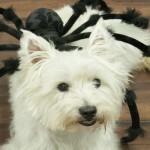 Shop pet costumes and costumes for dogs on BuyCostumes.com.